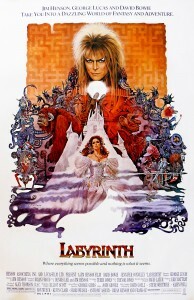 Labyrinth (1986): A Jim Henson Masterpiece! 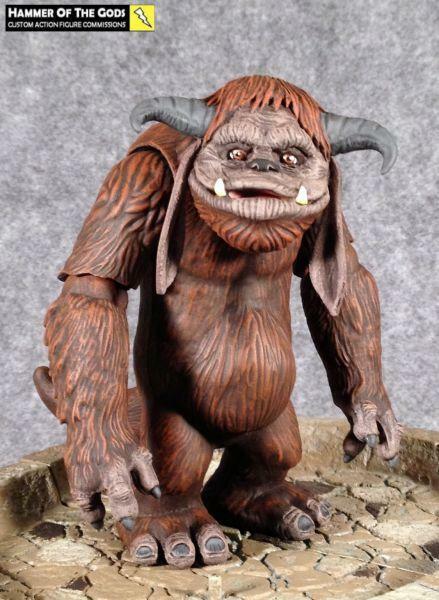 Home Blog Posts Labyrinth (1986): A Jim Henson Masterpiece! “You remind me of the babe! 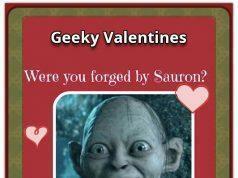 What babe? 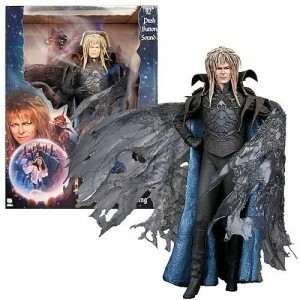 Babe with the power!” sings David Bowie as the character Jareth in the 1986 Jim Henson movie – The Labyrinth. Labyrinth, who has developed a cult following over the years, was directed by the late Jim Henson (creator of the Muppets), with executive producer George Lucas (Star Wars) with conceptual designs by Brian Froud (well-known fantasy illustrator). 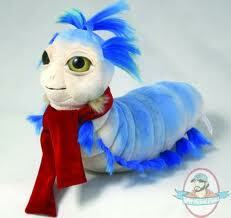 The baby that plays Toby in the movie, is also the son of Brian Froud! 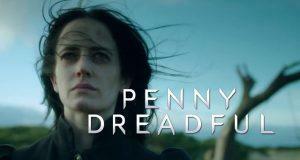 To make the film even more appealing, David Bowie (well-known pop singer) stars as Jareth (King of the Goblins) with now well-known actress Jennifer Connelly as Sarah. 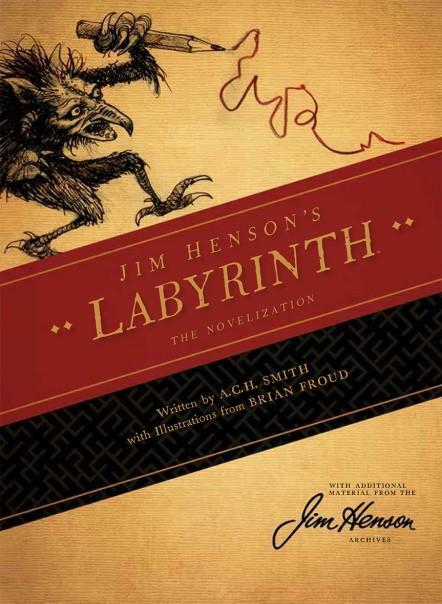 A further interesting fact is that Labyrinth started as a collaboration between Jim Henson and Brian Froud, with ideas for the film first being discussed between them following a screening of their previous collaboration, The Dark Crystal. For more interesting facts about The Labyrinth, check out this YouTube video: Facts You Didn’t Know: Labyrinth. The plot revolves around 15 year old Sarah’s quest to reach the center of the Labyrinth maze to rescue her infant brother Toby, who has been kidnapped by Jareth, the Goblin King. 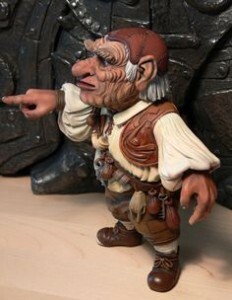 With the exception of Bowie and Connelly, most of the significant characters in the film are played by puppets produced by Jim Henson’s Creature Shop. There are also some great musical numbers in the movie. A four-volume manga sequel to the film, Return to Labyrinth, was published by Tokyopop between 2006 and 2010. 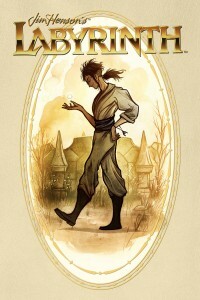 In 2012, Archaia Studios Press announced they were developing a graphic novel prequel to the film. Thus far nothing has come of it. 22 April this year, the Labyrinth novelization came back in print and for the first time in hardcover. 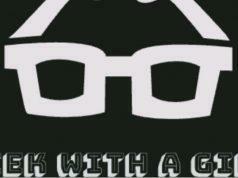 It is written by A.C.H. Smith and was personally overseen by Jim Henson. This beautiful hardcover features unpublished goblin illustrations by legendary illustrator and concept artist Brian Froud and an exclusive peek into Jim Hensons creative process with 50 never-before-seen pages! There are also Labyrinth inspired figurines – Jareth, Hoggle, Ludo and the tiny worm.